A Happy New Year to all contributors and visitors to The Band web site! And we have a winner of this year's The Band Christmas Quiz! Congrats to Eoghan Byrne from Ireland, and thanks to Jonathan Katz for providing the sound sample for the quiz. For Rick on his birthday, another "BandBite" from Carol Caffin: "John and Bill Scheele Talk About The Band, Stage Fright, Festival Express, The Basement Tapes Photo Shoot, and the Night Dylan and The Band Sang with Cher". 65 years ago, on December 29, 1943, Rick Danko was born. He is deeply missed. The music will live forever. The Black Crowes' "Cabin Fever Winter 2009" gigs at Levon's in February and March are confirmed. Tickets available from levonhelm.com (selling out fast) now! New Midnight Ramble and gig dates posted at levonhelm.com. Also, there are rumors that the Black Crowes are planning to record a live album in Woodstock, NY in February and March next year, in front of an audience at Levon Helm's Barn! The Chris Bergson Band's Fall Changes, recorded at Levon Helm Studios, was named Blues Album of the Year in the current issue of UK music magazine Mojo. Highly recommended! And thanks for the free copy, Chris :-) Hope to see you at a Ramble again soon. "A Shrine to Rock" -- article about Big Pink from the Albany Times Union. Ho-ho-ho! Santa is back again with another The Band Christmas quiz for us! Today, it is nine years since we received the sad news that Rick Danko had left us. You may want to revisit the old guestbook from that day and the days that followed -- the response from Band fans on the net was overwhelming. Our dear friend, Rick Danko's publicist Carol Caffin, has an article (mentioning Rick, of course) titled "Nostalgie De La Boue: Longing for the Gutter" in the current issue of Crawdaddy. Nice one, Carol. Two upcoming albums featuring Garth Hudson: Alligator Purse (BeauSoleil) and Middle Cyclone (Neko Case). "Imus rambles up to Woodstock" -- article from the Poughkeepsie Journal yesterday. Thanks to Freddie Bateh for sending us the link. The great Little Sammy Davis is on the cover of the December issue of Living Blues magazine! May you rest in peace, Odetta. We just "liberated" the photos of the Original Quintet playing live in March 1978 and added them to the site archives. Garth Hudson plays on the new Canadian blues album Terry Blersh. Check out these photos, in particular the ones labeled '"The Band" Plays In A Club'. All five members of the OQ seem to be on stage, together with Rick Danko's 1978 touring band. This is probably the first known public documentation of the last time Rick, Levon, Garth, Richard and Robbie played together, at the Roxy in LA, 03.01.1978? Thanks to Tim Wood for the link. Levon Helm is among the artists paying tribute to the great Doug Sahm on the upcoming CD Keep Your Soul. Btw, we're going to see Blondie Chaplin play in Oslo in a few days. Link from Freddie Bateh. Levon Helm plays on the new album Songs for the Lost and Brave from Carl Carlton & the Songdogs. Thanks to Dirk Mell for the info. Press release from the Experience Music Project yesterday: "Robbie Robertson Honored at EMP|SFM's 2008 Founders Award Celebration". Link provided by "Ignatius." "Hawkins... gave the audience what they might have expected from an unabashed, aging rock star. He spoke in self-assured, salty language and used much of his time on stage to ogle the current Miss Arkansas, Ashlen Batson, who distributed the award plaques. 'What time does she get off?' he asked." Thanks to Freddie Bateh for the link. Canadian filmmakers Jeremy Kelly and Jason Jeffrey are working on a documentary on Richard Manuel! A 20-minute preview was screened in Peterborough, Ontario, two weeks ago. See Kelly's blog and the articles "Doc on The Band's Richard Manuel previewed Saturday", from mykywartha.com, and "Award-winning film screening set for Tuesday", from the Peterborough Examiner, for more info. Thanks to Tim Wood for pointing us to this. New article by Peter Viney: "Van at The Last Waltz". Ronnie Hawkins is to be inducted into the Arkansas Entertainers Hall of Fame. Link provided by Freddie Bateh. Peter Viney's article "The Rumours: The Unsubstantiated (& Unreleased) Sessions by Band Members" has been updated with new information about Atkinson, Danko & Ford / Bearfoot and The Pencils, contributed by Terry Danko. Levon Helm was named the 91st greatest singer of all time by Rolling Stone magazine in a recent top 100 list. Thanks to Laurel Obstgarten for the link. TJ Cole aka TJ Colatrella has sent us the lyrics for his The Band tribute song "The Caledonia Avalanche Blues", recently recorded by The Beards. "I met Don Crawford from Sarnia (Ontario) in London, Ontario and wrote lead sheets for some of his new songs. Don's manager Reg Veriol, put Don and me on a plane to New York City where we met with George Goldner who was president of the Gone record label (the original label for this session). Goldner and his assistant Lou Gally arranged to record "Sleeping Beauty" (the A side) as well as "Beauty and The Beast" (the B side). The musicians and background singers were all New York professionals and the recording was performed "LIVE," no overdubs. I co-produced this session and did not play on it. Al Williams played the piano, Mickey Baker on guitar, and Everett Barksdale played bass." Garth remembers telling Mickey "Guitar" Baker, "Mickey, would you turn up the treble on your guitar?" Garth still has the original lead sheets in his files and has the date written as "Wed. Sept. 59" without mentioning which week. "My radio program, 'Mystery Train' on WJZF 97.1 FM, will be doing another 3 hour Band special this coming Saturday night, November 15th. The Band together, solo, studio, Live in concert, the official, the unreleased, Levon and the Hawks, etc -- should be a great time for any and all Band fans. The show broadcast live, Saturday night, Nov 15th, 9:00pm-Midnight EST with rebroadcasts on Monday November 17th 9:00pm-Midnight and Wednesday November 19th Midnight-3:00am EST. 'Mystery Train' can be heard anywhere in the world by logging onto www.wjzf.org. If any Band fans have special requests, etc. they can email me at mysterytrainradio@yahoo.com. Thanks!" Our Italian friends The Beards have recorded a new original song dedicated to The Band, titled "Caledonia Avalanche Blues" with lyrics by Levon and Garth's friend T.J. Cole. The song can be downloaded from lastfm.it or from The Beards' home page. In September 1959, a 22-year old Garth Hudson co-produced Canadian country artist Don Crawford's "Beauty and the Beast" and "Sleeping Beauty" (B- and A-side, respectively, of 45 single Gone Records 5066). And now, thanks to our friend Jonathan Katz, we can listen to those recordings here at The Bandweb site! Added a nice 1970 photo of Rick, by John Scheele. 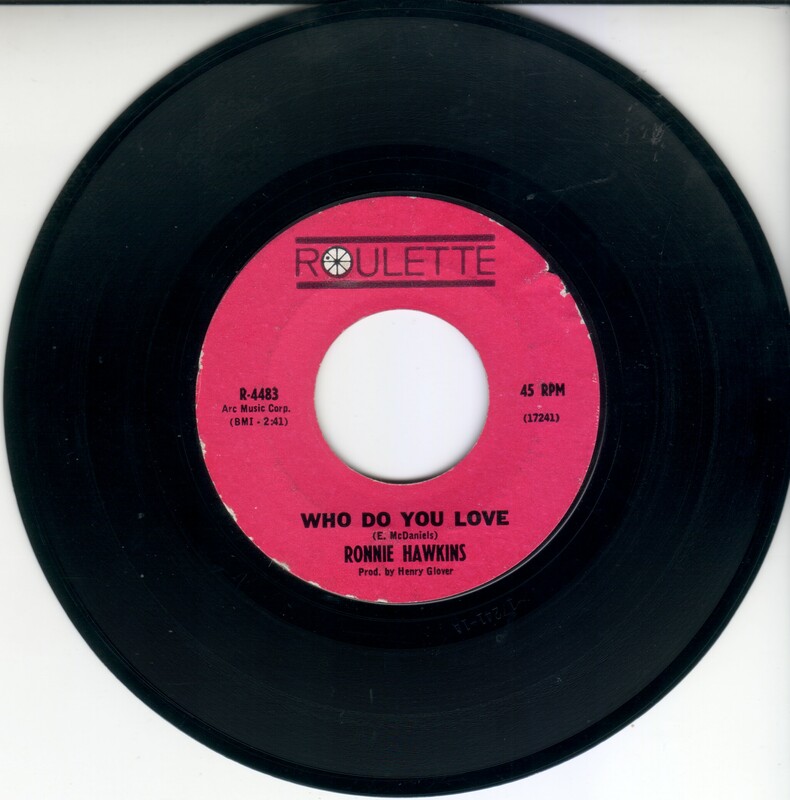 Scan of the 1963 Ronnie Hawkins and the Hawks 45 "Who Do You Love" added to the singles discography. Contributed by Peter Viney. To our friends in the US: Your new president is very popular and has massive support in Scandinavia. Which is quite rare for an American leader, mind you. Here at The Band web site we must admit that his speech last night was quite moving. New mugshot of the webmaster (and Lee), snapped today. We bought that picture disc at a vinyl asylum in Lund, Sweden, in May this year, before the gig/lecture with Garth and Maud at the University. It's hanging on our office wall, next to the Hudsons' Lund concert poster. New BandBite by Carol Caffin: "A Chat with Terry Danko". Here's a video that Garth appears in a few times while advertising the Vienna International Film Festival (Viennale). Link copied from garthhudson.com. Star guest of the Viennale, Garth Hudson, legendary founder member of The Band and winner of the Grammy Lifetime of Achievement Award, talked about his decade-long cooperation with Bob Dylan at an event at the Viennale Zentrale on 20 October under the auspices of Working Class and the Tribute to Bob Dylan. Music-journalist Pat Bashill lead the discussion. Subsequently, the delighted audience was lucky enough to be surprised by a spontaneous concert with songs by Bob Dylan and his own compositions. Garth Hudson played the keyboard (noting: "I sure wish I had a real piano") and accompanied his wife Maud who sang amazingly. Read more and see photos from the event at viennale.at (also available in German). Best of luck to Garth Hudson in Vienna tonight! The great Levi Stubbs left us yesterday. RIP. Pat Blashill, the moderator for the Tribute to Bob Dylan and the Cinema event that Garth will be doing at ViENNALE, has made a post titled "nice work if you can get it" on his blog Euro Like Me. Garth will be speaking about working with Dylan titled "Garth Hudson: Being Electric" including a Q & A at this event. "I do know one thing, though: Everybody should immediately download (Levon Helm's) Dirt Farmer. Best thing I've heard in 10 years. It is absolutely succulent. It's so cool. I only heard about it about a week ago. I downloaded and I sat there and listened to it with my mouth hanging open. I always knew he was great and I've kept in touch with him a little bit over the years. Not enough, sadly. But he's in such great voice. I always say to people the thing that changed everything for me was the Beatles and (The Band's) Music from Big Pink. Music From Big Pink changed the whole way that musicians felt about recording. You can so hear how large a contribution (Helm) made. Obviously everyone in The Band was great. Robbie (Robertson) wrote great songs. But Levon was for me the heart and soul of the thing. They were all great, Rick (Danko), Garth (Hudson) and Richard (Manuel), they were all fantastic." More photos of Garth and Maud Hudson in Lund, Sweden, May 2008. Thanks to Brown Eyed Girl for pointing us to these. New album with contributions from Garth: Lose Strife by Nina Violet. "Levon Helm, Larry Campbell Join Hall of Fame Benefit". Thanks to Jeff for the link. "Ronnie Hawkins: Rock legend on both sides of border" -- article from the Los Angeles Times. Link provided by Freddie Bateh. The Deep End (Christine Ohlman with Rebel Montez). There is a spotlight on Big Pink in Saugerties in the fall 2008 issue of Oprah's O at Home magazine on page 20. It is included as part of a celebration spread out through a few issues of the most influential homes in history. Garth spoke with the author, Hunter Slaton, as did the present owners. There is a nice photo of the owners in front of the house. The article is titled, "The House that Made Rock 'n' Roll History." Eric Clapton & Robbie Robertson - "Who Do You Love" -- video from the Crossroads festival, September 2007. Thanks to Bert Janssen and Huub Verdonschot from Holland for the link. Just six months after they started recording their first album together in London, Eric Clapton and Robbie Robertson have put the project on hold. In February, Robertson told us they were "feeling pretty ambitious" about the disc. But now a source close to Robertson says the project is on the shelf and that no reason has been given, and a spokeswoman for Clapton offers up a "no comment." Thanks to "Brown Eyed Girl" for the link. Garth Hudson is among the honorary guests at the 2008 Viennale (the Vienna International Film Festival) in Austria this month. The festival is doing a tribute to Bob Dylan, including screening of 15(!) Dylan-related films. On October 20th, Garth will speak about his work with Dylan at an event titled "Garth Hudson: Being Electric", as part of a "Working Class" on "The Cinematic Ways of Bob Dylan". THE LEVON HELM BAND - free concert! Sunday, October 26, 2008 from 2 to 4 p.m.
Face painting, hay tunnel, home cooked food, pies, fresh produce and pumpkin launching!!!!! Please help us get the word out. 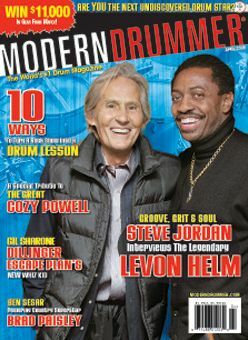 Send all questions to our web site at: www.levonhelm.com. New information, as we receive it, will be posted there so it's important that people keep checking that site for new information leading up to the day of the free show! Come out and support your local 'dirt farmer'! NO RAIN DATE. WE PLAY, RAIN OR SHINE! We visited this event last year, on a beautiful October Sunday after a Midnight Ramble at Levon's. The music was great, in an intimate setting in front of the corn field, good food, fun for the kids and then the allmighty Pumpkin Gun! Highly recommended. Wednesday, October 1 at 7:30 PM at Carnegie Hall's Zankel Hall, Garth Hudson will join singer-songwriter Richard Barone for FRONTMAN: A Musical Reading, a benefit concert for noncommercial radio station WFUV (90.7 FM, www.wfuv.org) from Fordham University. Other participants joining Mr. Barone are: Carlos Alomar, The Bongos, Randy Brecker, Nick Celeste, Marshall Crenshaw, Anthony DeCurtis, Joyce DeWitt, Ryan Geller, Steve Holley, Moby, Rob Norris, Janice Pendarvis, Suzzy Roche, Rerre Roche, Mick Rock, Johnny Rodgers, Jane Scarpantoni, Vin Scelsa, and Jimmy Vivino. Tickets are $28.50 - $48.50 and available at www.CarnegieHall.org. The Levon Helm Band's performance at MerleFest 2008 in April is now available both as downloads and as a CD titled MerleFest Ramble, from FestivaLink.net. "Rompin' Ronnie rocks Stratford -- Party in the park draws thousands". Thanks to Freddie Bateh for the link. The original The Band guestbook is back. We ask you to please remember the purpose of this web site when posting here. "LITTLE PINK has closed. Norbert will try to recover the archives, but the site address was hijacked and used to send huge amounts of SPAM, and the server shut it down. A shame as we've been meticulous about barring Spammers at several a day. They got their revenge. We will try to get something going but it won't be soon. Please watch this space. All good things come to an end." Thanks to Peter and everyone for the hard work. Please keep us updated. "Americana Royalty Salutes Levon Helm" -- review from Paste magazine this week. Robbie Robertson appears in the new documentary Mardik: From Baghdad to Hollywood. What a year for Levon Helm! A grandson, two Grammys and, yesterday at the 2008 Americana Music Honors & Awards ceremony in Nashville, TN, the Artist of the Year award! "Levon Helm's 'Ramble on the Road' features Plant, Krauss, more" -- from yesterday's The Tennessean. A Japanese 2-DVD special edition of The Last Waltz, with DTS audio and additional footage from the event, will be released in December. Thanks to our friend "Snotty" from Japan for the info. Just released: The Imus Ranch Record, with a fantastic cover of the Arthur Alexander classic "You Better Move On" by Levon Helm! "The Band -- Or When The Booing Ended" -- Originally published in Disc and Music Echo in the UK, 29 May 1971. Graziano Romani -- "Between Trains" -- YouTube video with a cover of the Robertson original from the 1983 King of Comedy soundtrack. Romani's version is available on the 2008 Italian CD Between Trains. Woodstock, NY - Members of the cast of the Emmy nominated hit TV drama RESCUE ME, starring DENIS LEARY and now in its fifth season on the FX network, are teaming up with Grammy Award winning Rock N Roll Hall of Famer LEVON HELM, former drummer of THE BAND, to raise money for The Leary Firefighters Foundation, Don Imus' Cattle Ranch for Kids With Cancer, and Memorial Sloan Kettering Cancer Center. A charity auction, hosted by Woodstock, NY radio station 100.1 WDST, will begin on September 11th. Bids will be accepted at www.wdst.com and radiowoodstock.com. The winner of the auction will receive dinner for four (4) with members of the RESCUE ME cast in a beautiful streamside setting at the renowned Bear Cafe in Woodstock, NY, located just one and a half hours north of New York City, on Saturday, October 25th. The four winners will then be escorted by the cast members to Levon Helm's Woodstock home to attend his highly acclaimed sold out Midnight Ramble concert and meet Levon. The concert will feature performances from the Saturday Night Bluegrass Band, Charlie Louvin (one half of the highly influential country music act The Louvin Brothers), and of course The Levon Helm Band. The auction winner will also receive one of a kind autographed RESCUE ME memorabilia. Participating cast members are: John Scurti (Lou), Daniel Sunjata (Franco), Mike Lombardi (Probie), Callie Thorne (Sheila) and Milena Govich (Candy). Bid on the charity auction, beginning September 11, 2008 at 7:00am at www.wdst.com or radiowoodstock.com. Most of The Band archives are back on-line. Audio files and video clips are not yet available. After almost 14 years on the net, The Band web site will soon shut down, for reasons personal, professional and technical. We hope to be able to keep most of the archives on-line, after a major clean-up of copyrighted material and outdated media formats. Photos from the latest Midnight Rambles and the Levon Helm Band's appearance at the Merlefest in April are now available from levonhelm.com. Added recent photos of our friend Freddie Bateh and his family with Garth Hudson, the Hawk and at Big Pink, to the Band fans photo gallery. Happy Birthday, Levon Helm! Birthday greetings may be posted in Levon's guestbook. During their performance at the Twisted Pines Music and Arts Festival in Penetanguishene, Ontario, last weekend, Garth and Maud Hudson were joined by Garth Douglas of Festival Express and his Wye River Band. They also invited Karla Crawford, Scott Cooper, Tannis Slimmon, and Michael Yates (who played cello). A beautiful video with their performance of "I Shall Be Released" has just been posted on YouTube. See garthhudson.com for more interesting news about the Hudsons. Poetry available from amazon.com. May you rest in peace, Hank. "A Rock Legend in Lund" -- newspaper article about Garth and Maud Hudson's lecture/concert at the University of Lund, Sweden, earlier this month. Levon's Dirt Farmer will finally be available on vinyl! Release from Vanguard Records on June 10th. The LP is already available for preorder from parasol.com. Our friends The Crowmatix from Woodstock, New York has just released a new best-of album titled As The Crow Flies, featuring contributions from Levon Helm and Garth Hudson, a cover of The Band's "Life Is A Carnival" and the song "No Division (Heart & Soul)" co-written by Rick Danko. The CD can be ordered directly from Woodstock Records. Highly recommended. A Happy 17th of May to all our Norwegian users! Levon's Birthday Bash, May 24, 2008. Armed Forces Appreciation Day, May 18. "Rock and roll treasures go on display in Omemee", article from the Canadian Peterborough Examiner, including Rick Danko, Dylan++. Thanks to our dear friend Carol Caffin for the link. New photos from the 05.10.2008 Midnight Ramble published at levonhelm.com. Last night my little brother, father, friends,and I attended our first Ramble. We got the opportunity to sit in the front row, and it blew us away. It was by far the best concert I've ever been to, if not the best experience I've ever had. From the great, genuine people there to the incredible music, it was a night we will not forget. We will definitely be attending another Ramble in the near future. So will we, Mike! Hope to see you there. Jim Weider's "Project Percolator" will play at the rather groovy Freedom Festival in Starks, Maine, on June 21st and 22nd. "Bob Dylan drawings to be displayed at London gallery". Thanks to Susan Slinger for the link. Someone has compiled a nice collection of 1965-66 photos of Dylan with and without the Hawks/Band over at flickr. Thanks to Jonathan Katz for the link. Clash: I first got into your music through The Band -- you performed "Evangeline" at their Last Waltz. Emmylou: They are my favourite band of all time. Have you heard Levon's new record? It's fantastic. Clash: Do you feel like you missed out on the actual Last Waltz event? Emmylou: Not really. I had my own special party with them! (Laughs) But he [Robbie Robertson, The Band's songwriter] called me and I said I'm in the middle of this tour. It was '77, it was Albert Lee, it was Luxury Liner, it was very important; I was very committed to my guys and there was no way I would have stopped that. But I was grateful for the second chance. They said, "Well okay, then we'll accommodate you". I wasn't trying to be difficult or anything, but my first commitment was to my guys. Clash: If they had offered to be your full time backing band would you have accepted? Emmylou: Oh, I don't know! (Laughs) I think one song was plenty. But they definitely have their own style, more than any other group of American music. I'm quite taken with this young group Old Crow Medicine Show. They're kind of an acoustic version of The Band. No one will ever be The Band, but they're pretty amazing. I would give them a shot. Thanks to interviewer and editor Simon Harper for sending us this. Added an MPEG-3 file with Olivia Newton-Johns cover of "In a Station", from her 1971 debut album. A big thank-you to Peter Viney for the contribution. New tour dates for Jim Weider's "Project Percolator." Here are a few photos and a short report from the Hudsons' visit to Lund, Sweden, two days ago. Levon Helm is on the cover of the current issue of RFD TV magazine. "Rick's effect on and interaction with others was so much a part of his magic. Many people have told me over the years about how Rick affected their lives--whether it was with just a smile, a handshake, or a song. I would love for people to share some of these stories on the site. It can be 100 words or 500 words. Folks who want to share should contact me at carolcaffin@aol.com or carol@rickdanko.net. They will get a writer's credit, or, if they're shy or want to remain anonymous, they can use a pseudonym. It doesn't have to be anything fancy--in fact, if it has to do with Rick, it shouldn't be. Remember his credo: less is more." New Midnight Ramble dates for July, August and September announced by levonhelm.com. Great article from Crawdaddy! : "Rick Danko: Infectious Joy and Non-Showbiz Charisma". Link provided by Jon Katz. "You might like to know that I have finally put my Garth and Maud Hudson interview from 2007 online. It's the full transcription to our interview. One of these days I'll get round to putting some of my pix in our gallery!" Check out the news and gig dates for Kris Gloer's Last Waltz Ensemble. New Jim Weider updates and tour dates. Just to add to Mr. Katz and the Washington Post article, the Ram's Head concert was an awesome experience. Other notable numbers were the Teresa Williams-led version of 'It Makes No Difference' (it was as beautiful as she), Levon's 'Got Me A Woman', and the second number of the night, Dylan's 'It Takes A Lot To Laugh, It Takes A Train To Cry'. I was five feet from the stage, and my jaw was dropped for most of the show! I also cannot praise enough Larry Campbell's version of 'Chest Fever'. Oh. My God. I have searched and searched online for a version, but none exist! He HAS to record it! The organ intro, performed on guitar, is as impressive an interpretation as Hendrix taking on 'Watchtower'. It went right through your skin to your spine, brother. They need to be recording these events. I really hope a live album of The Levon Helm Band comes out. I read in 'This Wheels On Fire' that Levon looked around during one of The Band's tours with Dylan and said 'I can't believe no one's recording this'. Let's not make the same mistake twice! The only thing that the Washington Post left out [of their concert review] was the clearly evident fun that everyone on stage was having -- especially Larry Campbell. The expressions on his face reminded me of his quote in the December issue of No Depression: "All the music that means anything to me, the genuine American music -- blues, rock 'n' roll, country, bluegrass, gospel -- Levon can perform and sing with complete authority. That's what The Band did back in the day -- they took all these relatively disparate genres and blended them into one unique thing. Levon's my favorite singer in the world, And it's not that he learned how to do this; he just is it." This was the best concert that I've seen since I saw the original line up all those years ago. Read the wonderful review from the Washington Post of Levon Helm's concert in Baltimore three days ago. The new short film Only Halfway Home, "inspired by and featuring music from Levon Helm's Grammy winning album Dirt Farmer," has had almost 20.000 views on YouTube since it was added a week ago! It is currently YouTube's top featured music video. 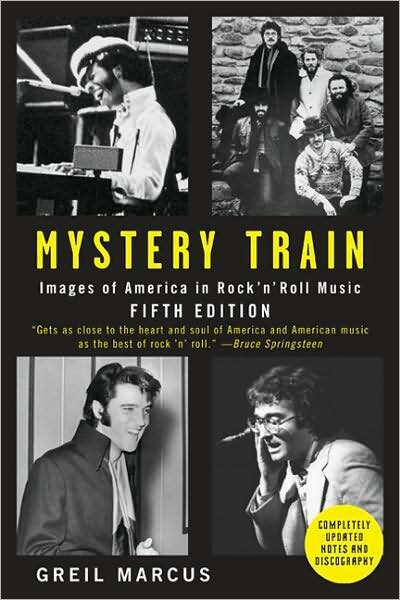 A fifth edition of Greil Marcus' book Mystery Train has just been released, with photos of The Band, Sly Stone, Elvis and Randy Newman on the cover. Thanks to Joshua Butts for the information. Hadn't seen these before: Photographer Bo Shannon's photos from The Last Waltz. Includes shots of Stephen Stills, Van Morrison and Paul Butterfield. New concert date for the Levon Helm Band: August 4, at the Ridgefield Playhouse in Ridgefield, CT. Check out the new YouTube page for Levon Helms's Dirt Farmer, with a 20-minute video titled Only Halfway Home, featuring the songs "Calvary," "Poor Old Dirt Farmer," "False Hearted Lover Blues" and "Got Me a Woman." "
Rolling Stone magazine just published their new list "Best of Rock: The People, Places and Things Ruling the Rock Universe in 2008." Check out "Best Jam Session: Levon Helm's Midnight Ramble"! Thanks to Mike Hayward Jr. for the link. New photos from the 04.05.2008 Midnight Ramble published at levonhelm.com. Garth and Maud Hudson are scheduled to appear as headliners of the Twisted Pines Music and Arts Festival in Penetanguishene, Ontario, Canada, on Saturday May 17th. The Hudsons will perform at the King's Wharf Theatre at 9pm, following a screening of Festival Express. See Garth's concert calendar for more details. Thanks to our friend Jeff from Brooklyn for the update. The new issue of Clash magazine features an interview with the great Mavis Staples. The full interview is available from clashmusic.com. Thanks to author and editor Simon Harper for the link. New web server statistics created from last week's log files. In 2007, we had an increase in server traffic again after a dip in 2006. This time we see a 10-20% decrease from last year. 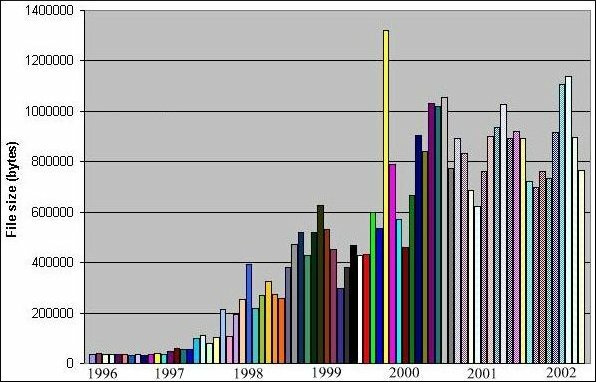 Which is a little surprising considering all the good publicity The Band and Levon have had lately (Grammys, sold-out gigs), and may be due to seasonal variations (April vs. June, see e.g the traffic graph for the old guestbook). We'll measure the traffic again in June to verify this. Still, the average number of requests for pages per day is at 32,000, the average total number of file requests per day is almost 250,000, and the traffic volume last week was 35 GBytes. Surprise(? ): China is the #1 downloader among the national domains resolved from numerical IPs! May you rest in peace, young Sean Costello. A tribute to Sean has just been posted in Levon's guestbook. ...you might tell people that they can make a longer Woodstock weekend out of it by catching my trio playing every Thursday night 45 minutes down Route 209 from the Woodstock Thruway exit at The Aroma Thyme Bistro -- fabulous, very healthy food -- no cover charge. 845-647-3000. Then they can have a leisurely Friday, sight-seeing the beautiful Catskills and Hudson Valley and hit a Ramble that Saturday. Presto: a travel package! RFD-TV, the 24-hour television network for rural America, has new programming plans that include a musical show hosted by Levon Helm! Read more in this article at multichannel.com. Thanks to Dan Schram and Scott Richardson for sending us the link. A nice surprise from the wonderful Carol Caffin -- BandBite #0: "A Brief Chat with Jorma Kaukonen". If you haven't been there yet: Check out Carol Caffin's Rick Danko tribute site. Two new 2008 compilations: Platinum (The Band) and Mojo Man/Arkansas Rockpile (Ronnie Hawkins). ...and 10 more pics from the gig in Atlanta, GA, yesterday. Levon's (and our) old friends Big Joe and Doreen Lore visited West Helena, AR, a few days ago. They guested on the legendary "Sunshine" Sonny Payne's King Biscuit Time radio show. Here's a photo from the event, sent to us by Butch Dener. 65 years ago, on April 3rd, 1943, Richard Manuel was born. Too soon gone. Levon Helm Studios has added new Midnight Ramble dates for May, June and July. Also, the Levon Helm Band's summer tour dates with Phil Lesh & Friends are now confirmed. See Levon's gig schedule for details. New Midnight Ramble announced today: May 10th Hip-Hop Ramble with very special guests Snoop Dog and Kanye West! This'll sell out fast, get your tickets from Levon Helm Studios now -- just follow this link! You must read the very interesting background story about the new musical cooperation between Levon Helm and Snoop Dog in today's West Saugerties Journal! The summer tour with Phil Lesh and friends. The Woodstock Playhouse, Woodstock, NY, July 4 2008. Lowell Summer Music Series, Lowell, MA, August 2 2008. New concert date for the Levon Helm Band: Saturday August 2, Lowell, MA, Lowell Summer Music Series in Boarding House Park. Great news for Deadheads and Levonistas: The Levon Helm Band will be touring with Phil Lesh this summer! See the Phil Lesh web site for concert dates and more information. April 2008 marks the 30th Anniversary of the film The Last Waltz. To celebrate, with some help from our friends, we will be rolling through the movie set list in it's entirety! Scheduled performances from: Heather Luttrell, Blue Note Recording Artist Oliver Wood, Sean Costello, Cameron Williams, Greg Hester, John Liebman and an opening set from The Sundogs. This show is a must see from The LWE! For more LWE gig dates and sound samples see lastwaltztribute.com, where you also can buy their CD. Great news: The wonderful Maud and Garth Hudson will perform at Hal Willner's "Stay Awake Live" gala benefit at St. Ann's Warehouse in Brooklyn, NYC, on Wednesday April 2nd. The concert celebrates the 20th anniversary of the original Stay Awake album with various interpretations of music from vintage Disney films. Suzanne Vega, David Byrne, Beth Orton, Martha Wainwright and many other artists will also perform at the event. Our dear friends Garth and Maud Hudson are busy these days: See the news page and concert calendar at garthhudson.com for updates and details. "Levon & friends at the Beacon Saturday night" -- review by Jon Lyness of the March 8 gig in NYC. Photos from the great gigs at The Beacon in New York City two weeks ago! New Midnight Ramble dates added for May, June and July. The Levon Helm Band will play at the Newport Folk Festival in Newport, RI, on August 3rd. "Clarence Clemons joins The Levon Helm Band in NYC, March 8, 2008 " -- YouTube audience video from last weekend's gig at The Beacon Theatre. New interpretation of "Ferdinand the Imposter" from Kyle Sheelan. "PRoJECT PERCoLAToR just recorded 11 new orginal songs at Allaire Studios in Shokan, NY, for a release in late summer/fall 2008! European Tour starts march 28th in Italy and Switzerland into april 6th! ProJECT PERCoLAToR is booked to play Mountain Jam IV 2008 in Hunter NY and Endless Summer Jam in NJ, july 26th/08." More Jim Weider news and tour dates at jimweider.com. Our long-time Irish friend, singer/songwriter (and Band fan extraordinaire) Hank Wedel, has just started a new band, with guitarist Declan Sinnott, called "Small Town Talk" -- see their recent press release and band photo for more info and upcoming gigs. Also, check out Hank and Declan's covers of Band songs previously posted at this site. Best of luck, Hank! "Clemons sits in with Helm in concert at Beacon Theater" -- from the Poughkeepsie Journal. Thanks to Freddie Bateh for the link. Stan w/ Lonnie Mack at Carnegie Hall on December, 6, 1985. Thanks to Pete Haskell for the link. New concert date for the Levon Helm Band: Ram's Head Live, Baltimore, MD, 04.24.2008. Check out interesting news at garthhudson.com! We were among the lucky ones to attend the Levon Helm Band's brilliant performance at the Beacon Theatre in New York City on Friday. Here's a review of the gig from the New York Times. On June 10th, Martha Wainwright will release her third studio album, I Know You're Married But I've Got Feelings Too. The interestingly titled album will feature contributions from Pete Townshed (The Who), Donald Fagen (Steely Dan), Garth Hudson (The Band) and various relatives (brother Rufus and mother Kate McGarrigle among others). More info at Filter Magazine. There is an exclusive Goldtop Edition of Daniel Lanois' new film and CD Here Is What Is for purchase from Red Floor Records! 22 years ago, on March 4th 1986, we lost the great Richard Manuel. Too soon gone. "Helm rides high at the Orpheum" -- from the Boston Globe. "Rocker Helm in total control" -- from the Boston Herald. Some of us are really looking forward to the upcoming NYC concerts! Canadian blues/rock guitarist extraordinaire Jeff Healey sadly passed away last Sunday, only weeks before the release of his first blues rock album in eight years, Mess of Blues, which includes a heartfelt cover of The Band's "The Weight." "Levon plays the song. He was born with this beautiful rhythm. When you have a brilliant musician like Levon who has an inherent take on music -- he's a great singer, he's a composer -- with that combination you can't lose. His drumming is gorgeous, and his interpretation of the song is magnificent. He has that feel and he knows how to get that sound. I just love what emanates from the drums when he plays." The magazine also has an article in their "Education" section titled "Levon Helm's Greatest Grooves With The Band." "[Here] is the official photo of Garth and Maud Hudson with the Consul General of Canada Mr. Alain Dudoit and Mrs. Michéle Dudoit taken at the Canadian pre-Grammy party on Thursday, February 7, 2008 at the Canadian Residence as part of the CELEBRATION OF CANADIAN MUSIC EXCELLENCE on the occasion of the 50th Annual GRAMMY(R) Awards Celebration. Garth and Maud arrived just after their plane landed." Photos from the Levon Helm Band's concert in Asbury Park, NJ, February 16, 2008, are now available from levonhelm.com. Levon Helm won the prize for Traditional Artist of the Year at the Folk Alliance Awards Show in Memphis last week! Thanks to Tim Wood for the info. Updated the list of "The Band Cover Versions from the GB" with a cover of "When You Awake" by Stanley Landau, Laurie Landau and Brian Short. "I thought I would let readers of the page know, I ordered a signed copy of Levon's album, and a hooded t-shirt from his website. It arrived to me (in Scotland) super-fast and in great condition, well wrapped and packaged. I thought I'd drop people a line here to remind them Levon sells direct, and he accepts cards and paypal, so there are various ways to buy. You don't need to use Amazon or Ebay as a middleman - buy direct from Levon and help him out! Oh, and the hoodie is great! Here's a link to the store front." You probably want to listen to this: Toronto musician Michael Racioppa has just released the CD Madhouse Studios Presents to promote his Madhouse Studios, which has "a bunch of organs" -- 4 of them are Lowrey organs, 2 of which are the same models used by Garth Hudson, the Lowrey Festival (Music from Big Pink) and the H25-3 (The Last Waltz). The promo disc has 4 very good covers of Band songs that are "more or less replications" of the original recordings. 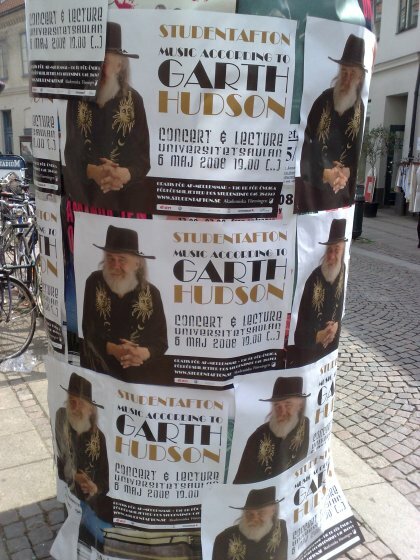 "'MUSIC ACCORDING TO GARTH' is the title of the lecture and concert Garth will be doing for Studentafton (Studentevening in English), Academic Society of Lund/Sweden on May 6th. Details will be posted in Calendar soon. Some of the participants over the past hundred years were Louis Armstrong, Ingmar Bergman, Albert Schweitzer, J. B. Priestley, Pink Floyd, Jose Saramago, Count Basie, Ray Charles, Queen Margrethe of Denmark, Ella Fitzgerald, Dag Hammarskjold, Duke Ellington, Piet Hein, Muddy Waters, Oscar Peterson, Bertrand Russell, Jaques Tati, Frank Zappa, Jimi Hendrix." Just posted at garthhudson.com: New photo of Garth Hudson (looking great) and Earl Scruggs onstage at the Grammys: "Earl received a Lifetime of Achievement Grammy also... as well he should." "Helm is still going strong on 'Midnight Ramble'" -- new article/review from philly.com. Thanks for the link, Nick. An interesting tidbit on a Beatles website: Everyone knows that George Harrison came up to visit Bob Dylan for Thanksgiving 1968, but very little has ever been written about it. Former Beatles roadie Mal Evans makes a note in his diary about meeting Levon and the boys at Dylan's house during the holiday. The comment is just past half way down the web page. Thanks to Bill Delaney for the link. "Levon Helm makes a triumphant return to Philadelphia: Drummer for 'The Band' is riding high after Grammy win" -- review from the Wilmington News Journal of last Friday's gig. Thanks to Nick Tovo for the link. Thanks to John Scheele for sending us these photos of Garth, Robbie and Arlie Manuel at the 2008 Grammy Awards. Garth sat in with Lyle Lovett and John Hiatt last night. Here is a press mention. American songstress Neko Case's 2006 Fox Confessor Brings The Flood was re-released by Anti Records last November as a deluxe edition that includes a five-song bonus CD with choice cuts from two previous solo albums, 2002 standout Blacklisted and 2000's Furnace Room Lullaby (which were also re-released by Anti). Garth recorded on four tracks of Fox Confessor Brings The Flood ("Margaret vs. Pauline"/"Star Witness"/"John Saw That Number"/"Maybe Sparrow"). Photos from the February 10, 2008, Levon Helm's "Gramble Ramble" Grammy Night are now available from levonhelm.com. "And he shall be Levon: Helm and his band drum up a big wall of sound in Asbury Park" -- review from The Star-Ledger of the Levon Helm Band's concert in NJ Saturday. Link provided by Carol Bertolotti.
" At the helm: The rebirth of a legend" -- excellent new Levon article from the Kingston Daily Freeman. Thanks to Peter Viney for the link. New photos, live tracks and videos up on MySpace and jimweider.com. New gig dates, including a European tour in March and April, also posted at jimweider.com. "Levon at Asbury Park!" -- review by Ray Gehringer of last night's gig in NJ with The Levon Helm Band. "Levon in Philly" -- review by Peter Stone Brown of last night's gig with The Levon Helm Band. Garth and Maud holding the Grammy just after the presentation and speeches. The Hudsons' arrival in a Hudson Hornet automobile. The Hudsons talking to an ET reporter on the Red Carpet. And here's another one of Garth with the trophy, sent to us by Levon's webmaster Tony LoBue. Several new tour dates for The Levon Helm Band posted at levonhelm.com. "Core Samples: And the winner is..." -- new article about Levon's and The Band's Grammys, from the Utah newspaper The Park Record. Thanks to "Brown Eyed Girl" for posting this link in the "guestbook"
"The Band still plays on; Memory of Rick Danko treasured" -- new article from The Chatham Daily News. Link by Tim Wood. Levon Helm's two solo albums RCO All-Stars and American Son are now being released as a 2-on-1 (both albums on 1 CD) by Raven Records, already available from amazon.com. Thanks to Peter Viney for the info. "Seen and heard Grammy weekend: Leonard's love, Hudson's car, more Time" -- article from Canadian Press, revealing that the Hudsons arrived at the Grammys last Saturday in a 1949 Hudson! Way to go, "Hudson on the Hudson"! And thanks to Tim Wood for the link. You want to watch this: Short video interviews with Robbie, Garth and Arlie Manuel from the Grammys on Saturday. Thanks to Dan Schram for the link. Last night, Levon Helm won the Grammy for 2007's Best Traditional Folk Album for Dirt Farmer! Congratulations to Levon, Amy, Larry, Theresa and everyone else involved in creating this great music. Levon is now a grandfather: Amy Helm had a baby boy, Levon Henry Collins on Saturday night. Read more about this in yesterday's article in the Poughkeepsie Journal. The Band was honoured with the Grammy Lifetime Achievement Award in Los Angeles last night. Robbie Robertson and Garth Hudson were present at the ceremony. Photos of a well-groomed and sharp-dressed Garth and a good-looking Robbie at the event are available from Getty Images. Richard Manuel's wife Arlie Manuel also attended the Grammy Lifetime Achievement Award ceremony yesterday, here's a photo from Getty Images. RFD TV will be filming tomorrow's "Gramble Ramble" at Levon Helm Studios. It will air within the next two weeks. "For Robertson, there's an upcoming Order Of Canada ceremony in Ottawa." "And he's making a record with long-time friend Eric Clapton starting next month in London....'We've already started writing.'" "Helm, 67 [...] is also up for a best traditional folk album Grammy tomorrow night for Dirt Farmer, his first solo album in 25 years, an occurrence which Robertson calls 'absolutely terrific.'" Thanks to "Brown Eyed Girl" for the link to this one. The current issue of Oprah Magazine has an article about Levon Helm, mainly about Levon and his daughter Amy's relationship during the time he was being treated for cancer, and also their musical relationship. Thanks to Tom Guell for the info. "Forget about a reunion: Robbie" -- from the Winnipeg Sun. "Toronto rockers The Band won't reunite for special Grammy" -- from cbc.ca. "Levon Helm is still ready for the load" -- from The Los Angeles Times. "Toronto rockers The Band won't reunite for special Grammy". Link provided by Tim Wood. Check out the CALENDAR and NEWS pages at the Hudsons' web sites for all their upcoming GRAMMY appearance times, places and info THIS WEEKEND! Best of luck to you, Garth and Maud Hudson! "Classic Album: Levon Helm Looks Back at The Band" -- new interview with Levon talking about the Brown Album, from the Gibson web site! "The birth of The Band: Legendary rockers had their start in the Royal Connaught Hotel" -- November 2007 article from the Hamilton Spectator. Garth Hudson guests on the new benefit album American Hotel from Mike Brown. Proceeds from the sales of American Hotel will go towards rebuilding a community hospital in Santiago Atitlan, Guatemala, which was devastated in 2007 by mudslides, killing hundreds and leaving thousands homeless. This Saturday, February 9th, Brown's label, Oasis Entertainment, hosts a Pre-Grammy party at the Bordello in Los Angeles, marking the release of American Hotel and other benefit projects. Garth and Maud Hudson will be present at the event and will perform at or after 11:PM. See the press release for more info. Thanks to Jeff Alexander for the update. Another major festival appearance by Levon Helm in Live Oak, FL, in April: "Allman Bros bring Levon Helm, Bob Weir to Wanee." "Not Far From 'Big Pink,' Levon Helm Is Back Performing" -- good article from today's Wall Street Journal. "Levon Helm to celebrate Grammys in Woodstock with 'Gramble'" -- article from the Poughkeepsie Journal. Link provided by Dan Schram. "Levon Helm and the Ramble on the Road" are among the officially confirmed performers at the June 2008 Bonnaroo Music Festival in Manchester, Tennessee, according to an article in Rolling Stone. This is confirmed by the official Bonnaroo Music & Arts Festival web site. Other acts appearing at Bonnaroo are Pearl Jam, Metallica, Robert Plant & Alison Krauss, Kanye West, Jack Johnson and many more. Thanks to Dan Schimelpfenig for the info. Added the CD Do the Tavern and other Tall Tales (Head of Femur, 2005) to the list of covers of Band songs. On Saturday, Feb 16th, the The Band tribute band The "THE BAND" Band :-) will perform at the Colony Cafe in Woodstock, NY. Bear Family Records claim that their new Ronnie Hawkins compilation Ronnie Rocks "includes a previously unissued rockabilly gem from 1958." Can anyone tell us which track this is? All the songs on Ronnie Rocks have been released on earlier Hawkins albums -- must be a different recording of one of these, then? Is it the last track, "Horace", that appears twice on the CD? Added new photos of Garth Hudson with Jeff Alexander to the Band fans photo gallery. We just received our copy of Arlen Roth's new album Toolin' Around Woodstock, courtesy of producer Jon Gershen. This is a highly recommended release, with Levon Helm singing killer versions of Chuck Berry's "Sweet Little Sixteen" and Buck Owens "Cryin' Time." There's also brilliant playing by ace guitarist Roth and Levon on drums, and top notch studio musicians. A bonus DVD with Arlen, Levon, Amy Helm and the gang in session at Levon Helm Studios is included with the CD. Toolin' Around Woodstock is available from amazon.com. "Sunday, February 10, 2008: Levon Helm's 'Gramble Ramble'. Join Levon and his Band for an exclusive Grammy Night Ramble. Show time, 5pm - 7pm. Special ticket price. Limited Tickets Available!!" "Ramble On Levon Helm" -- from the free, monthly Hudson Valley magazine Chronogram. "One more 'Last Waltz'" -- article about a Band tribute show tomorrow, from The Saginaw News. "Here is a video from YouTube of Garth in concert with Marianne Faithfull on November 25 and 26, 1989 at St. Anne's Cathedral in Brooklyn, NY. The two songs are 'The Ballad Of Lucy Jordan' and 'As Tears Go By.' The beginning of '...Lucy Jordan' is sadly missing in this video excerpt. Both a CD and companion video (with brief comments from Marianne) were released in 1990 titled Blazing Away. Garth played piano and accordion during the concert." "The Band member, Levon Helm, talks music with Russell Hall" -- new interview from The Anderson Independent-Mail, local newspaper for Anderson County in South Carolina. Thanks to Tim Wood for the link. Here's the poster for the "Mountain Jam" in Hunter Mountain, NY, in May, featuring the Levon Helm Band. Contributed by Dan Schram. 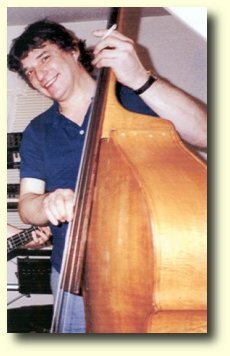 Carol Caffin, Rick Danko's publicist for many years and author of the great BandBites series of The Band background stories and interviews, has put up a new Rick Danko page on Squidoo Music! Carol welcomes "everyone's contributions, comments, questions, suggestions, etc." "I'm not certain, but there may be a mistake on the song-by-song credits for the track "When You Awake" on The Band (The Brown Album). The credits show Levon playing drums, but I think this might be one of those few songs where Richard Manuel is on the drums. In the liner notes for the 2000 re-master, Rob Bowman says, 'When You Awake features a gorgeous counter-melody courtesy of Garth and Richard's loose-limbed drumming (dig the wonderful drum part at the 2:20 mark).' 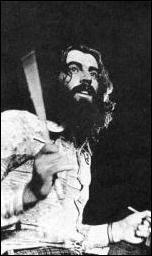 In his article about the song, Peter Viney lists Richard Manuel on drums in the credits. Peter also cites the video Classic Albums - The Band, where Robbie says Richard played drums on the song. I'm no expert on drumming technique, but the drumming on the song seems Richard's fresh, loopy style of play. Whoever's on drums, Levon or Richard, it's sure fun to listen to the drums on this piece." "Bob Dylan and The Band - Highway 61 Revisited" -- YouTube video from the Isle of Wight, 1969. Link provided by Tim Wood. Garth Hudson will appear with Donovan at a benefit concert in NYC on Thursday, January 31st. See Garth's concert calendar for tickets and more info. "Garth and Maud were interviewed for PBS as part of the Green Initiative 'Concert Series' while at Sundance. Oasis Entertainment of Seattle partnered with them and brought Garth and Maud out to guest with Mike Brown and The Sneakies. We will announce the telecast when a date is known." "The Rock Freak The Band" -- 1969 review of the Brown Album. "The Band at Boston College last Saturday" -- 1970 concert review. "The Thin Man Goes His Way" -- 1974 concert review of Bob Dylan and The Band.
" Dylan's Best Cellar" -- 1975 review of The Basement Tapes. Thanks to Tim Wood for the links. According to Amazon, Blondie Chaplin's self-titled 1977 Asylum album, featuring Garth Hudson, is scheduled to be reissued on CD by Wounded Bird Records on April 8, 2008. Thanks to David Powell for the info. "The Lonesome Death of Richard Manuel: The Day the Music Died" -- 1996 article from Toronto Life, first published 10 years after Richard left us. News from our friend Dan Schram, received yesterday: "This morning on Imus he debuted Levon's track from the benefit CD for the Imus Cattle Ranch for Kids with Cancer. It's a cover of Arthur Alexander's song 'You Better Move On' and its fantastic. Not sure of the release date on the CD but wow is it a great cover!" "Doucet's Best Work" -- review from the Toronto Star of Blood's Too Rich, written by Garth Hudson's friend and collaborator Greg Quill. Luke Doucet and the CBC special We Shall Be Released - A Celebration of The Last Waltz. 30 second sound sample of "The Day Rick Danko Died." Among their 01.23.2008 updates, musictap.net is reporting reissues of The Band's entire '60s and '70s catalog, upcoming on Caroline Records in the "mini-sleeve" fashion! Thanks to Kevin Ruppenthal for the info. "A Survivor Sings" -- nice editorial on Levon Helm from todays Northwest Arkansas Times (Fayetteville newspaper). Thanks to Randall Cale for the link. The Complete Motown Singles Vol 9 (release 4 Feb) has the Diana Ross/ Supremes/ Temptations version of "The Weight" (originally released on single and on the album Together in 1969) on disc 4. According to Paul Schoninger, the new Denzel Washington movie The Great Debaters uses Robertson's "Shine Your Light" on its ad trailer, but the song is not included in the film's soundtrack. "Back To The Garden" -- article from The Cleveland Free Times on Bill Scheele, who worked as "stage and prop manager" for The Band in the'60s and '70s. Link provided by Tim Wood. Updated the list of "The Band Cover Versions from the GB" with a cover of "I Shall Be Released" by the Embracers. Gov't Mule cover "The Shape I'm In" on their latest album Mighty High. Thanks to Henry King for the info. A recent photo of a (very) pregnant Amy Helm (with Ruth Ungar Merenda from The Mammals) can be found in the blog of Corey DiMario, bass player for the group Crooked Still. In his blog, DiMario also mentions playing on the same bills as Ollabelle and watching a Band DVD, and saying Levon is "The Man" (which we know). Thanks to Pete (aka Forbes) for the update. From our old friend Joe Lore: "Here are some pix from Randy Stratton's website (an old friend of Levon's) that I have never seen before." Canadian guitarist Luke Doucet's new album Blood's Too Rich has a track titled "The Day Rick Danko Died." New drawing of Levon by Nicole Gibson. Photos from the January 12, 2008,Levon Helm Studios Midnight Ramble and the January 12, 2008, Kids Ramble are now available. The extended interview and performance with the Levon Helm Band that aired yesterday on WXPN-FM, titled "Levon Helm: Beyond The Band with Blues", is now available from the NPR web site. Thanks to Bob Wigo for the link. Thanks to Rudy Veirman for the info. Kris Gloer's The Last Waltz Ensemble are playing Fayetteville and Little Rock, Arkansas, this weekend. The Fayetteville show tonight will feature guitar hero Earl Cate of the Cate Brothers Band, who played with The Band in the '80s. 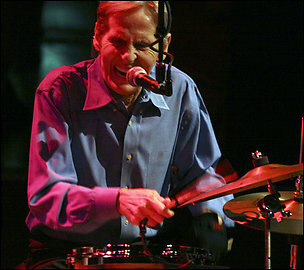 "The Levon Helm Band shared their talents on the world-famous World Cafe. Tune in on Friday, January 18th to hear the session on WXPN at 2pm ET / 1pm CT / 12noon MT / 11am PT. You can also go to www.worldcafe.org to find out when World Cafe may air in your area." Added the article "Mystic Nights: The Making of Blonde on Blonde in Nashville" to the Band article archives. Thanks to Paul Reyes from Oxford American Magazine for allowing us to use this one. Here's a Youtube live video of a band out of Boston called The Rationales covering "Up on Cripple Creek." "Catching Up With... Amy Helm" -- Amy talks to Paste Magazine about working on Levon's Dirt Farmer album. Thanks to Timothy Wood for the link. 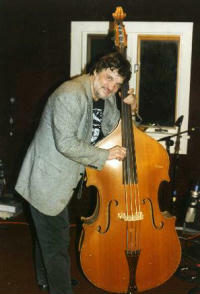 Garth Hudson is credited for playing Hammond organ on Peter Karp's 2007 album Shadows and Cracks. Added the album South of Delia (Richard Shindell, 2007) to the list of covers of Band songs. Levon Helm's "Dirt Farmer" video is now also available from the Country Music Television web site (for Windows users only). Levon Helm played at the great Jimmy Vivino's Birthday party gig at BB King's in NYC last night. And some night it WAS, according to this review/ photo/ video report! Thanks to Scott Bernstein for the link. "Here is a YouTube link to live concert footage of my song 'Out of Grace,' with Garth Hudson on accordion, at the Bearsville Theater, Woodstock, NY, from the release party for my album The Well. Performers are Sarah Perrotta: voice and piano, Chris Lane: guitar, Johnny Watson: drums, Jon Stern: Bass and Garth Hudson: accordion." The Levon Helm Band's February 15th show at The Electric Factory in Philadelphia, PA, and the February 16th show at the Paramount Theatre in Asbury Park, NJ, have now been confirmed by Levon Helm Studios. A new tour date was added today: 03.01.2008, Orpheum Theatre, Boston, MA. Tickets available from Ticketmaster. Levon Helm's The Midnight Ramble Sessions Volume 1 and Volume 2 are being re-released in the UK and are available at amazon.co.uk from 14th Jan 2008. They each include a live DVD and are priced at £19.99. Thanks to John from Nottingham, England, for the update. According to brooklynvegan.com, the Levon Helm Band will be playing a February 15th show at The Electric Factory in Philadelphia, PA, and one the next day at the Paramount Theatre in Asbury Park, NJ. None of the venues' web sites have the gigs listed, but tickets ARE already available from Ticketmaster. Loads of Dylan song chords and lyrics are available from dylanchords.chrisbarnes.net, including most of the songs from the official and unofficial Basement Tapes. Thanks to Peter Stekel for the link. Dylan UNCUT ... Read the editor's letter about this month's Bob Dylan cover feature. Garth did an interview for the story, as did producer Bob Johnston, Nashville session legend Charlie McCoy, Patti Smith, Lambchop's Kurt Wagner, Brett and Rennie from The Handsome Family, Gillian Welch, Josh Ritter and Sid Griffin. Read more here: http://www.uncut.co.uk/magazine. Pete Haskell, who played bass with legendary piano man Stan Szelest (Szelest later joined both the Hawks and The Band) as a member of the Ravens in the early '60s, has released a new album titled One Man Band. You can listen to the song "Down At Lulu Belles" from this album at cdbaby.com. Haskell still keeps in touch with Ravens guitarist Chuck McCormic and drummer Sandy Konikoff (who played with Dylan and the Hawks in '66 after Levon Helm left) in Buffalo, NY, and is still gigging and an active member of Buffalo Musician's local 92. Added a page for the album A Profile of New Hampshire (The Shaw Brothers, 1987), featuring Garth Hudson. Thanks for Dave Zuck for the info. "Ronnie Hawkins on The Hour with George Stroumboulopoulos on CBC" -- video interview from cbc.ca. Thanks to our friend Stu for the link.